Visiting Kosi Bay Mouth is exciting! Let's answer a few of those burning questions. Utshwayelo means fish trap in the Thonga language. We know it is a mouthful but we are very proud of the name as it represents the community and their heritage. How far are you from the beach? We are about 2 km from the mouth( the closest lodge to the sea). Utshwayelo borders on the Ezemvelo KZN Wildlife Kosi Bay Reserve at Kosi Mouth which is part of the Isimangaliso Wetland Park (a proclaimed UNESCO World Heritage Site) It is situated at the most northern part of the Isimangaliso Wetland Park-Kosi Mouth gate.We are also about 10 km from Ponta do Ouro in Mozambique. Can I pay remotely via credit card? Yes, by using the Payfast system only. It does carry a small surcharge. What is the crime rate like in the area? Our area has a very low crime rate. The local community are proud of their Lodge and ensure that all guests are safe and secure when visiting the area. Car guards are on duty at the mouth parking.They are very helpful and will carry your possessions across the lagoon. It is always advisable to lock valuables and money away out of site. Do you have braai facilities? 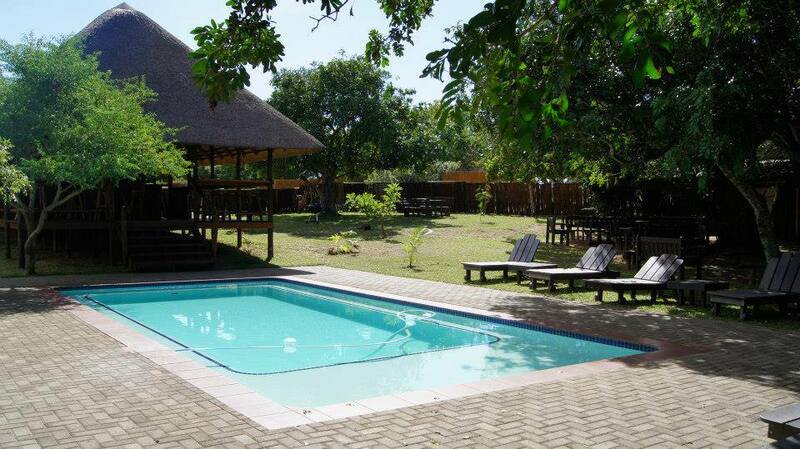 Campsites and Turtle Tents have private braai facilities. Webers and the fire pit are available for use in the boma area. Veld fires are an enormous risk in the area. Braais are permitted but please ensure they are extinguished after braaiing. Please do not leave any braai fires unattended and be careful while smoking. Must we take Malaria tablets? The area is a low risk malaria area and there has not been a malaria case reported in years. However we strongly recommend you always use mosquito repellent in the evening and early mornings. Can we drink the water? Yes, the tap water is untreated but is pure and clean and perfectly fine for drinking. How far are you from the closest town? Can you reach the lodge with a normal car? Yes, you can drive to the lodge in a normal car. To drive to the beach you need a 4×4 vehicle / 2 x 4 LDV with diff. Alternatively hike down, it is gorgeous, safe and good exercise. We also offer transfers should you want to book this. What time does the gate to Kosi Bay Mouth open? Gates open at 6:00 and close at 18:00. Entry is by permit only. Keep in mind that this is a UNESCO World Heritage Area and no boats or trailers are allowed. Visit our blog for more info. Where can we buy permits to the mouth? Entry permits to the mouth can be obtained from reception between 7:30 – 16:30. These permits are valid for the duration of your stay, until further notice. Please collect a new vehicle paper (free) each day to enter the reserve. Permits for Black Rock, the lakes and night fishing must be obtained from the Ezemvelo Kosi Bay Camp office. Their telephone number is 035 592 0236. Do you have card facilities? Yes, we have card facilities at Utshwayelo reception and there are ATMs in Manguzi. Yes, power is supplied by a solar battery system. We try to be as eco-friendly as possible and therefore also ask our guests to please be power/electricity conscious. This means that high electricity use items like kettles , hairdryers, airconditioners, ice machines etc. are not permitted. Campsites’ power will be on for about 6 hours a day to keep fridges and freezers cold. What is provided in the communal kitchen? Self-catering guests in the Hippo Chalets and Tusker suites can make use of the communal catering kitchen. Appliances include fridges, freezers, gas stoves and ovens. We provide food containers to keep guests food separate. All crockery, cutlery and food prep items are provided. Is the lodge pet friendly? Out of season we do allow well-trained, supervised pets. Note that pets are not allowed in the Park, please keep this in mind. Where can we do shopping? Manguzi (Kwangwanase) is 20km away. There is a Spar, Shoprite chemist, bottle store – in fact everything you may require is generally available. Shops open at 08h00 and close at 17h00 on weekdays and 08h00 to 13h00 on Saturdays & Sundays. Do you sell Ice & charcoal? We do sell ice but it is in big demand during peak seasons and expensive so it is advisable to stock up in town. We do offer catering on prior request and booking. Meals can be booked per meal or fully catered. Please order meals when making bookings. Meals can sometimes be arranged when checking in, depending on availability. Are there restaurants in the area? Yes, some of our neighbouring lodges have restaurants. These are about 20 minutes drive away from us. Manguzi has Steers and KFC outlets. Ponta also has a few restaurants to choose from. Are you kidding? The area has amazing sea fishing, lake fishing and fly fishing spots. Please do not fish in the estuary and actual mouth as this is a protected area.